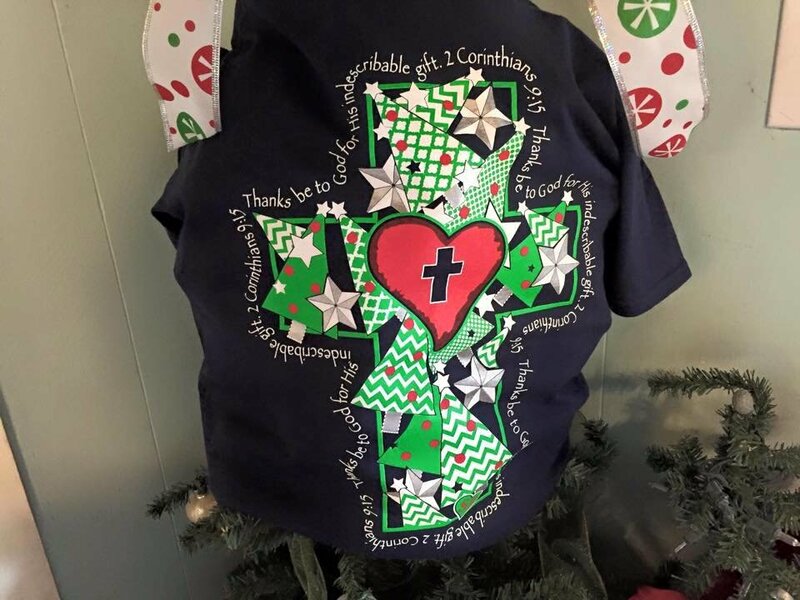 The front of the tshirt has a silver metallic cross like the one on the back. Christmas is coming and it is time to celebrate the birth of Jesus. God's gift to us!